You may have noticed a popular hashtag surfing the health community across the internet in recent months: #WhyIYoga. We just couldn’t resist putting our reasons forward, having been inspired by all the passionate yogis from celebrity figures to health practitioners and even youngsters just out of primary school! In reality, there are so many reasons why we yoga, but it’s easy to get lost in the details, so we’ve condensed our collective opinions down to the lucky number 7. Here at The School of Natural Health Sciences we’re not solely about the teaching of holistic treatments, but also the practicing of them. 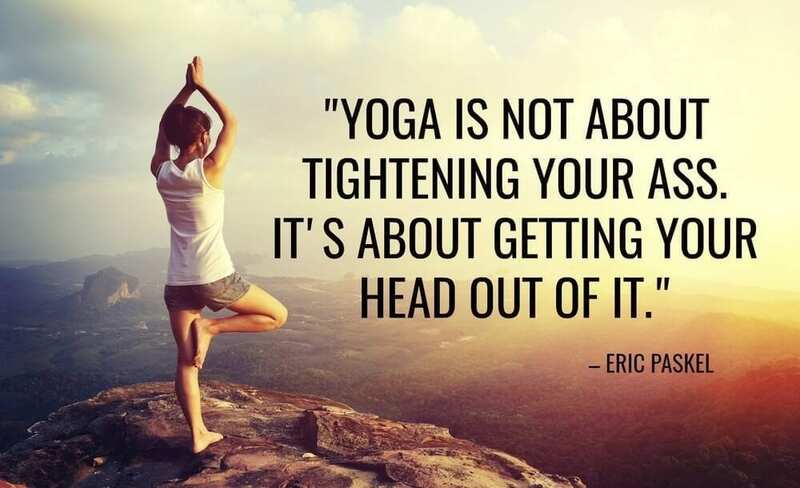 Yoga serves as a wholesome all-in-one self-treatment that we can give ourselves any day of the week. It encompasses spirituality, self-control, emotional healing, physical strength and balance. It’s not just about the body, but largely about the mind and spirit, which is why it’s the ultimate wholesome practice to engage in. Call it the superfood of the workout world! Aside from the initial yoga mat purchase, and maybe a few support blocks depending on your personal preference, there is really no cost that comes with it. If you’re a complete novice, wondering how the yogis got so good, it’s just plain old practice. You really don’t need to pay excessive amounts to join a class (although that is a fantastic luxury for some). Yoga is straight up not about materialistic things, allowing you to marvel in minimalism and focus on what adds real value to life. Being present in the moment is one of those valuable mindsets that practicing yoga enables us to maintain. You’re relaxing into a stretch, feeling stiff and unable to get down all the way to the ground as the pose intends. Then you start deep breathing and close your eyes. Suddenly, you realise you’ve surpassed your expectations a good 30 cm back. There’s a lot of power in deep breathing and mindful thinking. It can get you through the most intense, painful or stressful moments of your life, and I really think yoga helps prepare you for that. It shows you that you can control yourself; your breathing, your mind, your body. Yoga not only improves our overall fitness levels by strengthening and toning muscles, it actually simultaneously relaxes essential muscle groups. The physical benefit is only one side of it though. Through yoga we can learn to meditate, find balance, peace and inner strength through stillness, motion, focus and movement. When we feel we can accomplish more both mentally and physically, we usually do, which creates a cycle of proving to oneself that “yes, indeed you got this”. 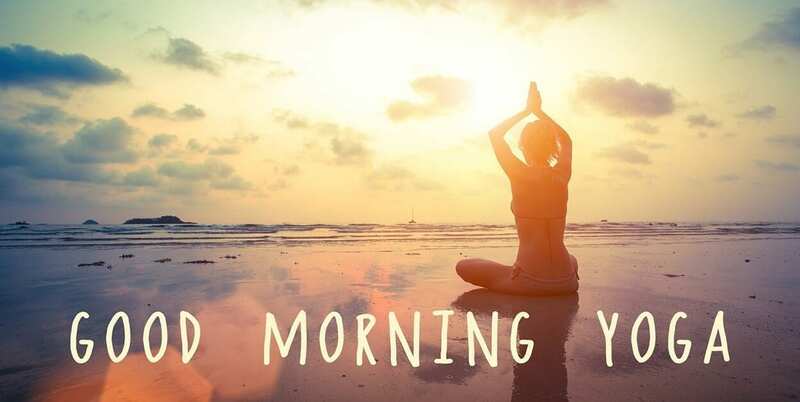 Beginning your day with a 20-30 minute yoga routine is a great habit to get into. It doesn’t even have to be everyday, it can be every other day, excluding weekends if you like, and still be seriously beneficial. The great thing is you don’t have to get made up, or face the cold morning weather, or traffic, or any of that. You can just roll out your mat, and If you can’t find the time in the mornings, there are also some sweet night time routines to try out, designed to get your body ready for rest, stretching out the stress and calming the mind from the day just passed. There are so many great yogis to follow who offer their routines and accumulation of stretches on their social media platforms. A yoga session never has to get repetitive or uninspiring, you can try a new routine every day if you wanted to, and thanks to the internet that’s now easier than ever. We posted a blog of some of our favourite YouTube channels and follow-along videos for 10-minute body sculpting rituals. To try them out just click here. Do you need to vent negative energy? Do you just want a routine for relaxation purposes and pain relief? Are you looking for a practice to enhance your senses or expand your spirituality? Or do you just want a workout that will build muscle and provide full-body strength? How about all of that? Sometimes yoga gets a bad reputation for being a solely soft and gentle exercise. The beautiful thing is it can be both gentle and soothing or vigorous and challenging, and in fact both – all in one routine. There is a plethora of poses out there to work towards if you’re heading for ultimate #YogaGoals, and the ultimate body to go with it. It’s also 100% winning if you’re like me and enjoy the yummy relaxation an easy routine provides.